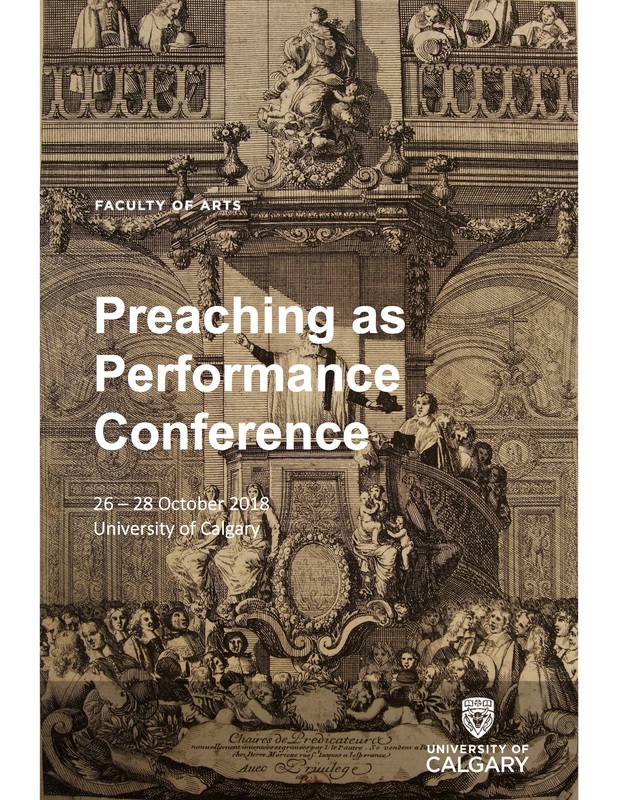 The Department of Classics and Religion at the University of Calgary, in conjunction with the biannual meeting of the Collectif d’Anthropologie et d’Histoire du Spirituel et des Affects, has organized an interdisciplinary conference on the theme “Preaching as Performance.” The conference took place October 26-28, 2018 at the University of Calgary in Calgary, Alberta, Canada. Preaching and its impact as a cultural form of not only religious but also social, political, literary, and aesthetic value has become a growing area of scholarship. This conference aims to foster research on the anthropology and history of religious teaching and public communication by providing an occasion for the interdisciplinary and comparative analysis of preaching as a performance event. We welcome papers focused on any religious tradition or historical period that explore some aspect of the way preaching uses theatrical, material, sensory, linguistic, and affective resources to produce religious sentiment, form religious subjects, and transmit doctrinal messages.